so sorry. the problem w/ churches/church people is – they’re people. Thru the ages the Bible has been watered down to suit humans. If u are able at some time read the Book of John, maybe you have, but try it again if you are inclined (if the fairies don’t “do it” for you.) again I am so sorry you have been hurt, but I don’t believe it is God who hurt you, I think it is people. Just my opinion of course. Bailey, you have written a tender apology for the “people of God” who are many and may have different ideas of Him. I do so appreciate your kind note. Though, it is not any group of people that have “hurt” me. It is because there are so many opinions about in our world today, that sometimes we/I must return to the childlike ways (fairies and or what ever the childlike magic was then) to be reunited to our God in simplicity and in our own way. After all, He said to come to him as a child for such is the kingdom of heaven… And, much of my writing is metaphorical and I use allegories, similes and other symbols to express my own heart and mind… We have all been hurt when we grow up and discover that Santa and The Easter Bunny are childhood tales. My path is to find our childlike magic again and write about it and share the (hopefully) joys with others.. I thank you for writing and your words are endearing… Thank you. You didn’t “jump the gun” at all… And, if I can help at all, because I know what you’re writing about, first hand, and would be happy to chat privately… And, saying this will tell you that God does not judge us for who we are and created all of us to be unique. So, we grow the seeds that He has graciously given us… Then, we make Him smile, when he sees the fruits of our seeds. The “church” is an organization that is now stifled in legalism. And those rules and regulations are from people, not Him. Of course there are rules that prevent us from doing harm to animal or human, but it is sad how people interpret Holy Scriptures that sometimes point fingers and judge. Lord knows, in the past, I did more harm, than good. I also learned that God is the judge and we are not. The last commandment He left with us and the most important is that we “love” one another as He loved us… That is the bottom line and no one should point any fingers… Anyway, off the soap box…!!! 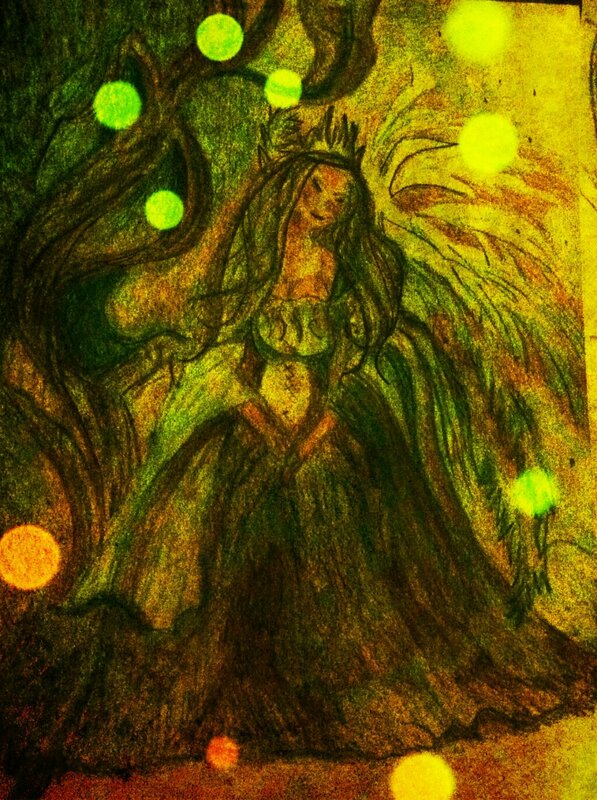 Gotta get back to the forest fairies and make goodness and magic! and thank you for the offer of your ear! I may just need to avail myself of it; this is really tough!